These can be best used in groups in a rockery-box or grown with Muscari Azureum, or as an edging to some other March-flowering bulb. They are not fully effective if exclusively occupying the box. "Pot in either compost or fibre in September at approximately 2 inches (5 cms) apart and at 3 inches (7.5 cms) depth. They should be treated thereafter as for Narcissi, save that they need cool growing conditions. Repot in September." from Indoor Bulbs. "Pot, in October and November, 10 bulbs in a 5 inch (12.5 cms) or 4 in in a 3 inch (7.5 cms) vessel. Use specially prepared bulb fibre or John Innes compost and treat as for Hyacinths. Resting. 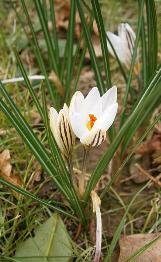 After flowering, and when the leaves have died down and the bulbs have ripened, they can be planted in the garden. It is not advisable to use them for house work in 2 successive seasons." The dark-green leaves appear in January, and the flowering period is from January to March. This a welcome and useful plant because of its hardiness, earliness and ability to give a display of butter-yellow flowers in a shady position. 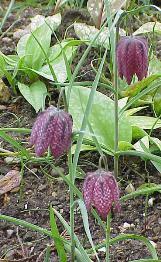 Plant in September or October at 2-3 inches (5-7.5 cms) deep and 3 inches (7.5 cms) apart in clumps with other bulbs. "Pot into 3-inch (7.5 cm) pots or pans in October. Tubers should be put at 0.5 inch (1.25 cm) deep and close together (about 6-8 in a 3-4 inch (7.5-10 cms) pan). Bulb fibre is a satisfactory potting medium, but equal parts of leaf-mould, loam and sand can be used. Temperature. When taken from the cold in December they should be brought for 3-4 weeks into an atmosphere of 50 degrees Fahrenheit (10 degrees Celsius). They need the coolest possible conditions and are better when not brought into a warmer temerature until in bud." from Indoor Bulbs. Large-flowered and deep yellow. 4-5 inches (10-12.5 cms). Golden yellow. The earliest variety. 3 inches (7.5 cms). Very large shining flowers which are scented, and last far longer than either Hyemalis or Cilicica. These Iris are not for every window-box, because they need a warm, sheltered position and some care in cultivation, and give best results if left undisturbed for a few years. 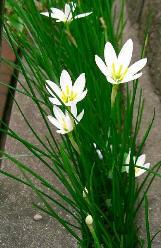 Plant in clumps with other bulbs in August or September. The bulbs should be planted in a compost of equal parts of fibrous loam, leaf-mould and coarse sand, or John Innes potting compost. Depth and distance apart 3 inches (7.5 cms). "Thereafter, treat them in the same way as other bulbs which do not like coddling, such as Eranthis, Scillas, etc, but they will require a reasonably warm, sunny position and will not thrive in cold or shade." from Indoor Bulbs. Golden yellow. 4 inches (10 cms). February-March. Lavender-blue, with delicate Orris perfume. 12 inches (30 cms). January-March. Iris reticulata Cantab and Iris J.S. Dijt are recommended for general use. Elegant clusters of deep-blue, tubular flowers. Hardy. 12 inches (30 cms). May-June. Plant in clumps during September-October, preferably in a sandy loam, though they will flourish in any reasonable soil. Small bulbs at 2 inches (5 cms) deep and 1 inch (2.5 cms) apart. Large bulbs up to 4 inches (10 cms) deep and 3 inches (7.5 cms) apart. They can also be used as an edging for the window-box. 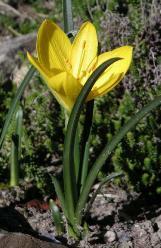 "Water moderately until after flowering and then dry off the bulbs. Temperature. 50 degrees Fahrenheit (10 degrees Celsius)." from Indoor Bulbs. Delicate spikes of pale blue. Very-free-flowering. 6 inches (15 cms). February. Pure white. 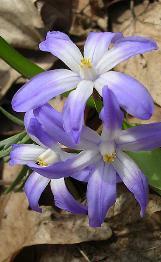 A companion for Chionodoxa. Bright gentian-blue bells on sturdy stems. 8 inches (20 cms). April. The top of the spike is pale blue and the lower dark blue. The foliage is broad and handsome. 12 inches (30 cms) April. Musk-scented bells of lavender-purple which gradually fade to a dark yellow. 5 inches (12.5 cms). April. Branched heads of violet blue in plumes. 7 inches (17.5 cms). May. The top half of the spike is dark Oxford Blue, while the bottom is clear Cambridge Blue ( so no favouritism in which boat crew to win their race each year!!!). 7 inches (12.5 cms). Mid-April. Sweetly scented. Plant in September or October, 5 inches (12.5 cms) apart and 4 inches (10 cms) deep, in ordinary soil or John Innes compost. Size of bulbs to be used - D.N.I. Flowering time: March-April. 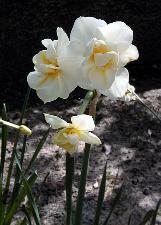 "Narcissi Classification. The Royal Horticultural Society has recently revised the classification of Daffodils. There are now (in 1953 - in 1975 the Revised Classification increased this to 13 and the RHS published this in the International Register of Daffodil names and I have detailed these in the Narcissus Gallery) 11 main divisions, which are divided into various sub-sections. The purpose of this is that there should be some clear distinction between the many groups of Daffodils. It does not seem necessary that the ordinary gardener or person wishing to grow Daffodils in the house should worry overmuch about the exact classification of the particular variety. Therefore the varieties which are suggested later have been grouped into one or other of the 11 main divisions of classification. Thus, Jonquilla (Div. 7), Tazetta (Div. 8), Cyclamineus (Div. 6) are shown under Minatures; while the Trumpets, classified under Division 1 with 3 sub-sections, are grouped simply under Trumpets. Even this may be thought a little pedantic, but the reader has only to pick up the many good bulb catalogues issued every year to find that the Daffodils are listed under their exact Horticultural classification. 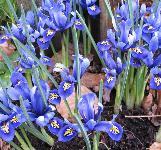 Plant them in either bulb fibre, John Innes compost or a mixture of 2 parts loam, 1 part leaf-mould, 1 part sand. To the last medium add 3 teaspoonfuls of medium bone-meal, or 2 teaspoonfuls of superphosphates to each 5 inch (12.5 cms) receptacle used. A non-porous vessel must be used when planting is done in bulb fibre. After planting give the compost a thorough soaking, preferably by standing the pot in a few inches of water until the surface of the fibre becomes moist throughout. Temperature. 40 degrees Fahrenheit (4.4 degrees Celsius) from potting time until rooted (approximately 6 weeks); 50 degrees Fahrenheit (10 degrees Celsius) for leaf and stem growth; 60 degrees Fahrenheit (15.5 degrees Celsius) for flower development. These temperatures are ideals and almost impossible to maintain over the time needed and under average house conditions. Nevertheless it is possible to get satisfactory results with conditions which come close to such ideals. When about 3 inches (7.5 cms) of leaf growth has been made they can be put in a sunny window at a temperature of 60 degrees Fahrenheit (15.5 degrees Celsius)." from Indoor bulbs. 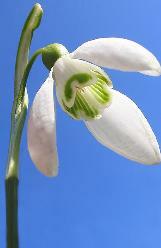 Plant in October, 4 inches (10 cms) deep and 2 inches (5 cms) apart, for flowering in March. Use in clumps with other bulbs. Bulb fibre is a satisfactory potting medium, but equal parts of leaf-mould, loam and sand can be used. Water moderately at all times." from Indoor Bulbs. 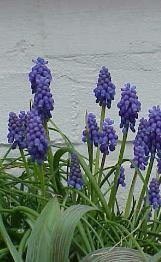 The Scilla campanulata can claim a place in window-boxes on an equal footing with Dutch Hyacinth. The entire box can be given over to them. Plant in October, in a soil with a large proportion of leaf-mould, 3-3.5 inches (7.5-8.72 cms) apart and 4 inches (10 cms) deep, using top-size bulbs and different varieties flowering at the same time. They will succeed in semi-shade. White. 14 inches (35 cms). May-June. Deep blush-pink. 15 inches (37.5 cms). May-June. Pale mauve. 14 inches (35 cms). May-June. Deep rose. 15 inches (37.5 cms). May-June. Fine pink. 14 inches (35 cms). May-June. 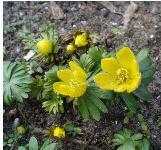 A very early variety with clusters of rich, dark-blue flowers that blossom at the same time as the Winter Aconite (see above). 3 inches (7.5 cms). Ultramarine-blue. Brilliant blue. 3 inches (7.5 cms). 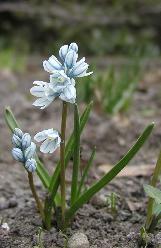 Earlier than Scilla Siberica and more sturdy. 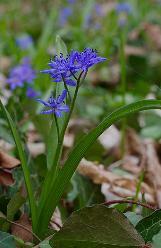 The flowers are much larger and are a most vivid purple-blue. The flower spikes are successional, giving a longer flowering period. 6-8 inches (15-20 cms). Very early flowers of soft blue on a cream-white background. 4 inches (10 cms). The small-flowered varieties should be used in clumps and planted at 3 inch (7.5 cms) depth with 2 inches (5 cms) between each bulb. A very early subject for the window-box. Under good conditions they will flower from January. Snowdrops will do well in a shady position. Plant in September or October, 4 inches (10 cms) deep and from 2-3 inches (5-7.5 cms) apart, in groups. "Thereafter, treat in the same way as Narcissi and Daffodil. Flowering. January-February." from Indoor Bulbs. Very large flowers, the inner segments marked with dark green outside and green stripes inside. 9-10 inches (22.5-25 cms). Nahaufnahme vom Kleinen Schneeglöckchen (Galanthus nivalis). By ‪Darkone via Wikimedia Commons. "Pot. The bulbs should be potted in August, 1 in a 5 inch (12.5 cms) pot, and planted so that only 0.33 of the bulb shows above the soil-level. Until the flower stem appears they are best left outside (if possible, in a frame or else in a dark cupboard); at that time they can be brought into the house and a cool room. The leaves grow during the winter months and the flower stems appear when the leaves have died down. For colour and sturdiness the Tulip is the best bulb for window-boxes; the stiff stems will stand against strong winds and the petals remain brilliantly flowering after quite severe weather. Tulip bulbs should be discarded after flowering, because, more often than not, the second season's flowers are small and disappointing. Plant in October, 4 inches (10 cms) deep and 5 inches (12.5 cms) apart, in loam and leaf-mould or John Innes No. 2, using 10-11 cm bulbs. Sylvestris - Pale yellow, medium egg-shaped flowers. Fragrant. 7 inches (17.5 cms). 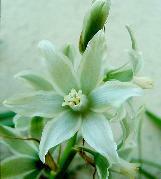 Biflora - White inner petals, outer shaded green. Three or more flowers to a bulb. 5 inches (12.5 cms). Batalini - Delicate chrome yellow, shading darker to the centres. Several flowers to a bulb. 5 inches (12.5 cms). Linifolia - Bright vermilion scarlet, black-based flowers. Several flowers to a bulb. Succeeds best when well established. 6 inches (15 cms). Early Singles (Flowering late March through April) - Couleur Cardinal, Cramoisie Brilliant, Ibis, Keizerskroon, Pink Beauty, Prince Carnival, Van der Neer. Early Doubles (Flowering April)- El Toreador, Mme Testout, Marechal Niel, Peach Blossom, Tea Rose. Triumph (Flowering late April and early May) - The best type for window-boxes owing to their stamina and weather resistance - Bandoeng, Denbola, Piccadilly, Northern Queen, Red Matador, Rhineland, Wintergold. Darwin (May flowering) - These are very tall and are only recommended for boxes in sheltered positions - Allbright, Arabian Nights, Campfire, Chappaqua, Clara Bute, Golden Age, Pride of Zwanenburg, Princess Elizabeth, Scarlet Leader, The Bishop, Zwanenburg. Late Cottage or Lily Flowered (May flowering) - Capt. Fryatt (Lily-flowered), G.W. Leak, Mongolia, Picotee (Lily-flowered), Rosy Wings. A good medium loam to which fine bone-meal has been added will be found quite satisfactory. the addition of some well-rotted dung, well below the level at which the bulbs will be planted, is an advantage. Drainage. It is most important to see that the bottom of the window-box is provided with adequate drainage holes of 0.5 inch (1.25 cms) diameter each and spaced diagonally at 6 inch (15 cms) intervals. Crocking large enough to cover these holes must also be provided. In order to secure free drainage past the crocking and through the holes a good layer of coarse compost, moss or turf should be laid in the bottom of the box before filling with soil. Watering. Use a watering-can fitted with a fine rose. Planting. The box must be filled about 10 days before planting so as to allow the soil time to settle and condense. Planting should be carried out (particularly for the larger bulbs0, with a trowel and not a dibber, as the latter will often leave a hollow beneath the planted bulb.